We are actively engaged in offering the finest quality Poppet Valve in Bangalore, Karnataka. Our Valve is precisely designed to regulate the flow of cylinders. We use high-grade metal and other raw materials to fabricate valves. Valve that we offer is manufactured as per the international quality standards to ensure superior quality and durability. 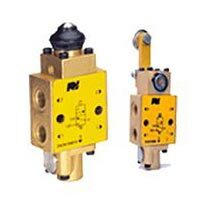 Our Poppet Valve has wide application in heavy-duty machines. They are corrosion resistant and can withstand adverse climatic conditions.